BusNSW presents a variety of awards that recognise excellence within every facet of the bus and coach industry. These awards include Environmental/Innovative Operator of the Year, Contribution to the Industry Award, Supplier of the Year and The Achiever Award. The BusNSW Award winners are submitted to the Bus Industry Confederation as nominations for the National Industry Awards. 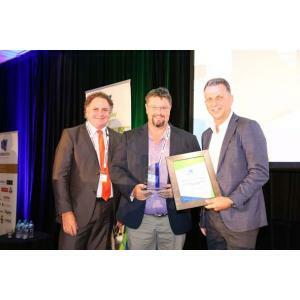 At the 2018 Australasian Bus Conference held in Cairns in October, NSW members took out four of the five national industry Awards offered – a remarkable achievement. 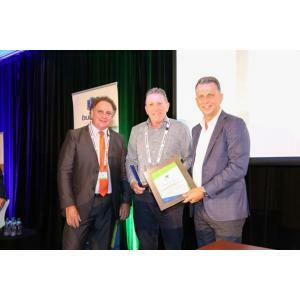 This year’s award recognises a Sydney bus company that has evolved its business operations to meet the specific needs of their passengers to enhance customers’ experience. Following the submission of a proposal to operate an on-demand bus service in South-west Sydney the company was selected by Transport for NSW to undertake a pilot. In October 2017 the company introduced an on-demand service which uses a small accessible vehicle to transport customers between a local railway station and a “Park and Ride” facility and a large hospital. This innovative service is the first on-demand transport pilot to commence operation in NSW. Since the service’s commencement patronage has steadily grown and has provided a real solution to parking and congestion problems around the hospital. This year’s award goes to a family business that has serviced south-western Sydney since 1947. The winner of this year’s award has been involved with one of NSW’s largest bus operations for over 40 years and has been a major contributor to the Bus & Coach Industry in NSW. He served as the President of BusNSW for 6 years and has been a member of the Board of Management since its inception in 2005. Over many years he has been actively involved with BusNSW committees, including policy and planning, rural and regionl, and audit, finance and remuneration. He has been through a number of rural and regional contract cycles, and IPART fare reviews, where he was at the forefront of discussions with government, and his financial skills were highly valued. The winner has successfully managed quality depots, fleet, systems and staff, including mentoring the next generation of family members. Over many years this person has contributed an enormous amount of his own time to attend meetings and work on industry matters. The 2018 Supplier of the Year, Volgren, has serviced BusNSW members for decades, providing outstanding service with an excellent team, that is always willing to support operators and their staff. Volgren has a reputation for value based on “whole-of-life-cost”, and after-sales support from its facility in Sydney. Volgre has been able to revolutionise its production methods in response to unprecedented demand from initiatives such as the Epping-to-Chatswood Station-Link project, which has led to a production average of 2.5 buses per day. For the first half of 2018 alone, the company will supply 140 buses to NSW operators and another 20 buses to the ACT. Volgren has proven its capability to reliably deliver large volume orders to the bus industry and work with multiple chassis suppliers. 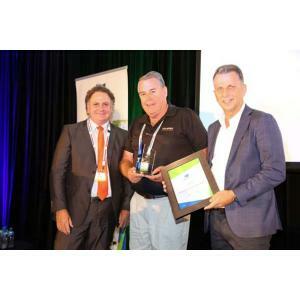 Micahel Kerr, the winner of the 2018 Achiever Award sponsored by SURA Australia Bus and Coach has almost 40 years’ experience in the bus industry, taking a role with an outer-metropolitan bus operator straight from school. Initially Michael winner was involved with administrative tasks, but his value to the business was soon noted, and with the industry changing rapidly he was given the job of managing the company’s coach and charter work. Michael was heavily involved in charter operations for the 2000 Olympic Games in Sydney, which greatly added to his experience and innovative thinking. Under his management, the charter business has grown exponentially, and the company is considered the leading rail replacement and charter operator in its region. Sydney Trains and other clients consistently report on his efficiency and professionalism, which has provided benefits to his employer and the community. In short, Michael has transformed a small, traditional, family bus company into a large business with a high profile and reputation for excellence.